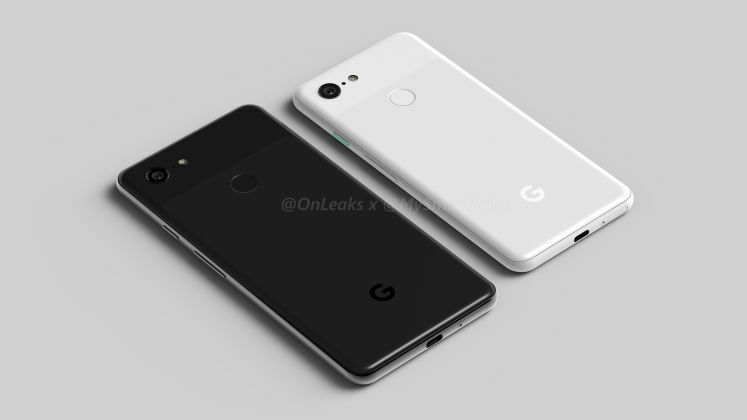 The Google Pixel 3 and the Google Pixel 3 XL are on the horizon, and leaks are starting to flow before their launch, which is expected this October. 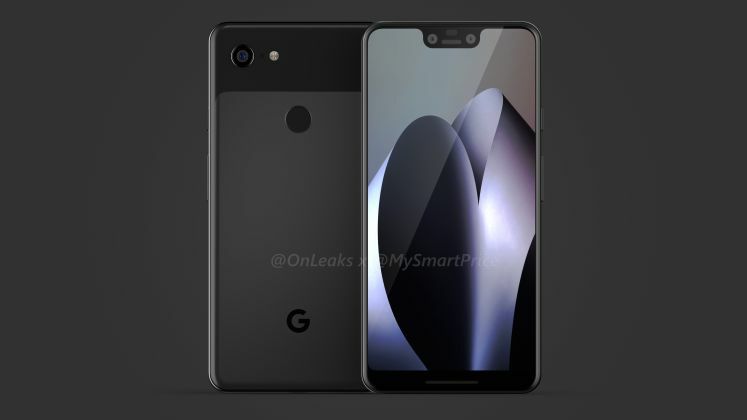 We’ve already seen the device in the flesh when a user on our forums managed to get a hold of the smaller variant of the device. 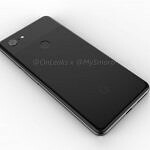 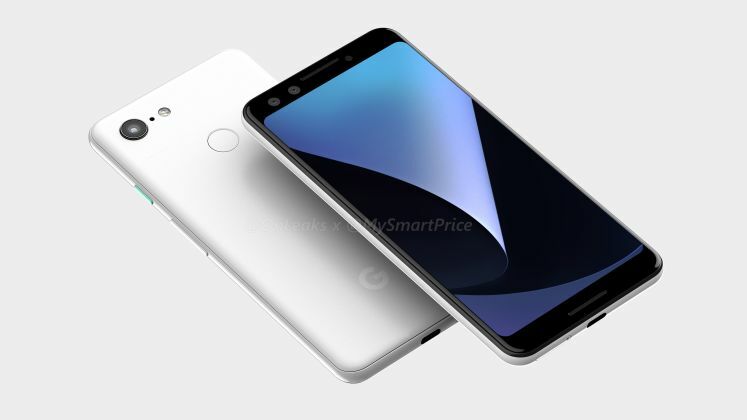 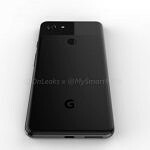 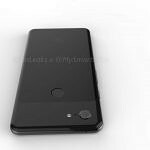 Sources have indicated that the Google Pixel 3 XL may have a notched OLED display made by LG. 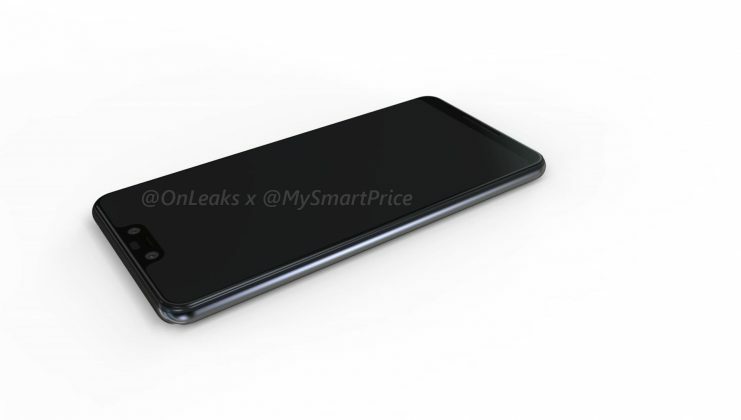 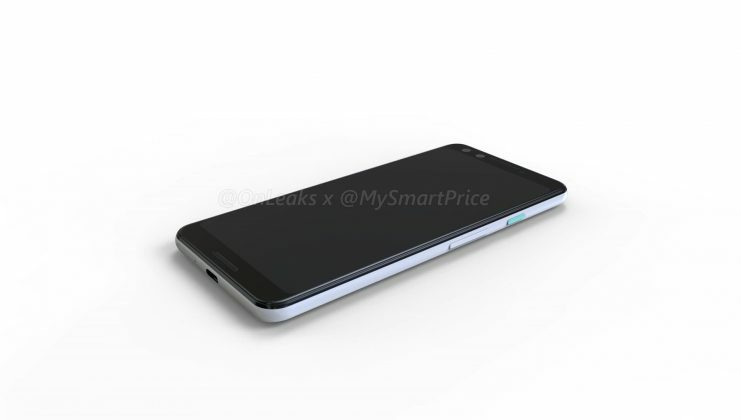 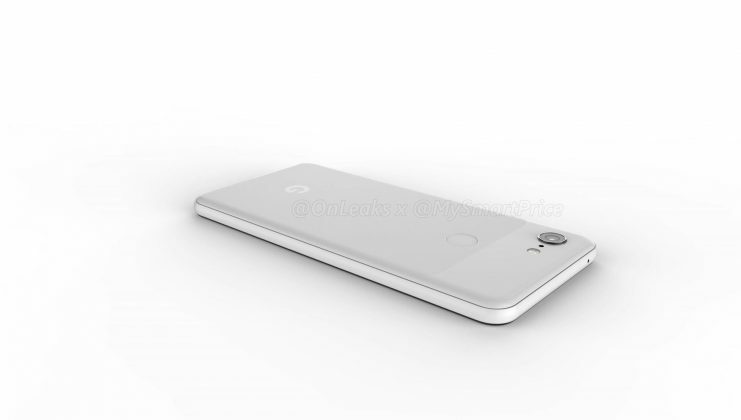 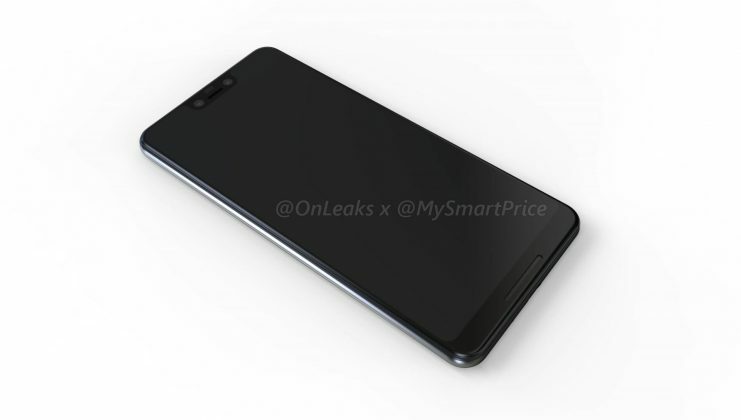 A set of leaked CAD renders from @OnLeaks and MySmartPrice shows that the notch is indeed here, along with larger displays for both variants. 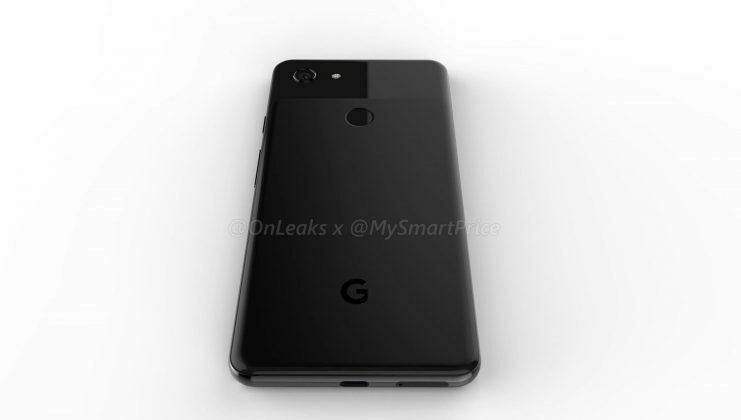 First, the smaller variant. 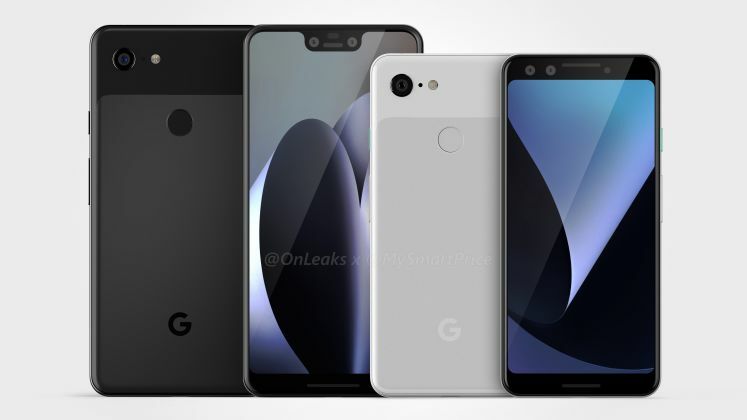 This device looks very much like the Google Pixel 2, with very few differences other than the fact that the side bezels are slimmer. 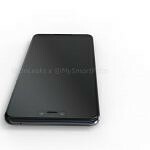 It will be slightly larger too, with a display of 5.4 inches. 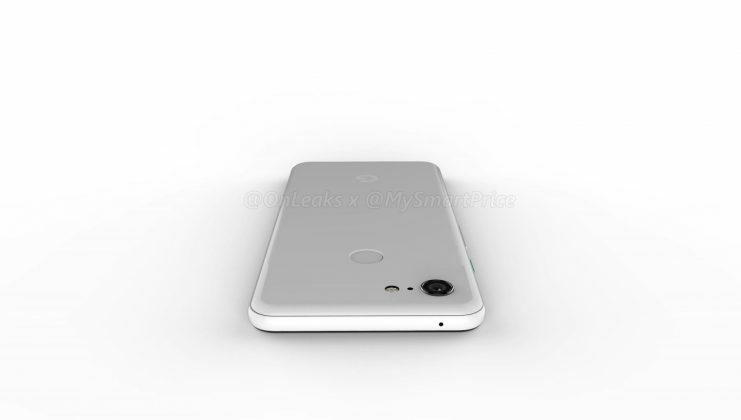 The single shooter camera on the back is present with an LED flash beside it, showing that the company hasn’t given in to using a second camera module with this year’s flagship. 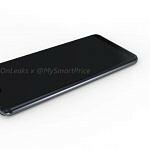 The slimmer side bezels also suggest that it could potentially have an 18:9 aspect ratio, though with an unimpressive screen to body ratio. 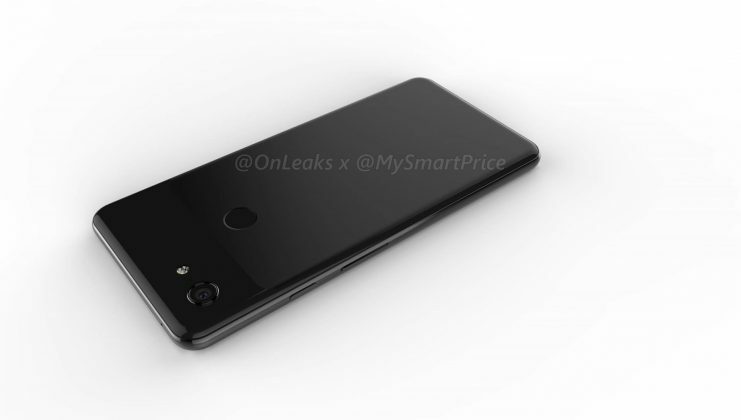 Interestingly, it may have dual front-facing cameras, though that could just be an ambient light sensor rather than a secondary camera. 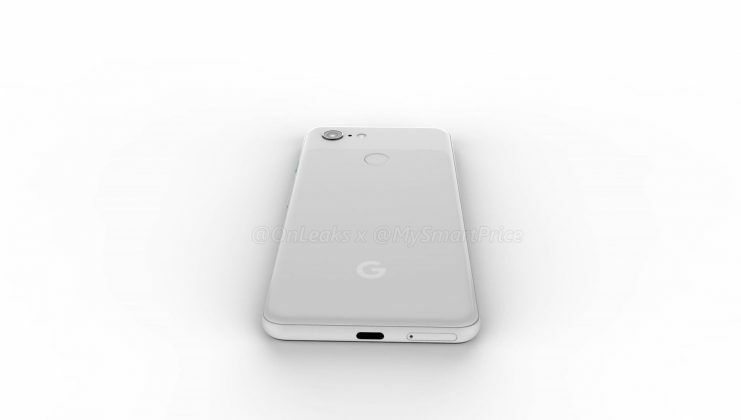 The Pixel 3’s dimensions are 145.6 x 68.2 x 7.9mm. 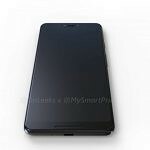 Accounting for the camera bump, this phone is 8.6mm thin. 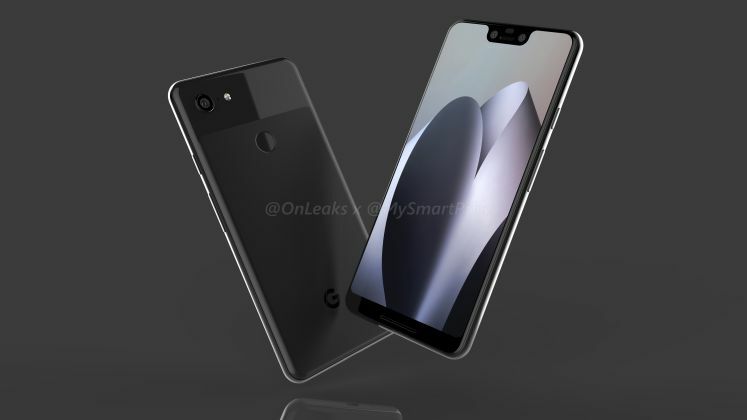 The screen is curved at the corners, which the smaller variant wasn’t last year. 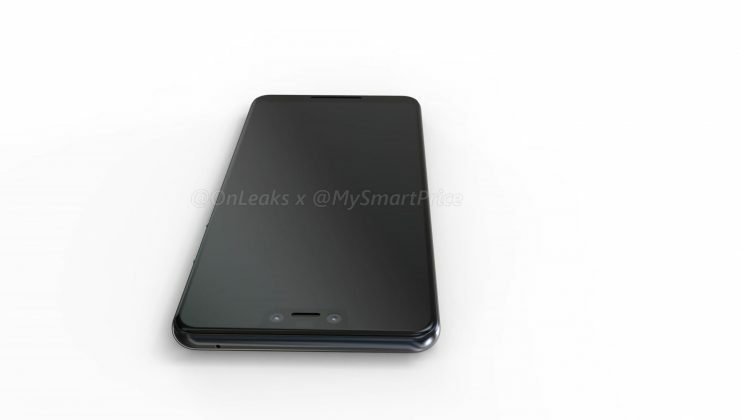 There’s no headphone jack here yet again, with a USB-C port and SIM card tray residing at the bottom of the device. 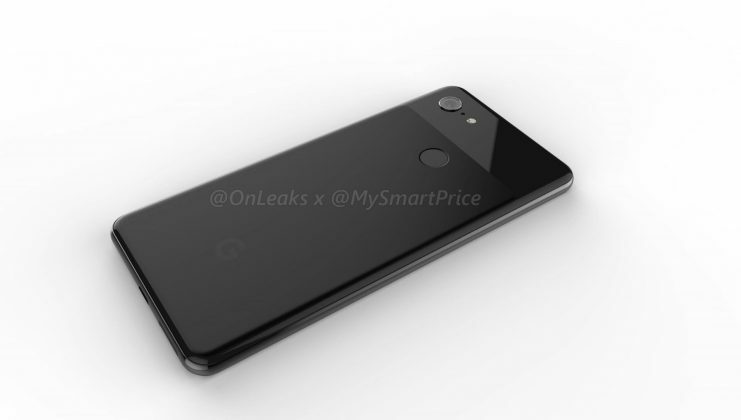 The power button has a turquoise finish, and the fingerprint sensor and Google logo on the back remains in the same location as last year’s device. 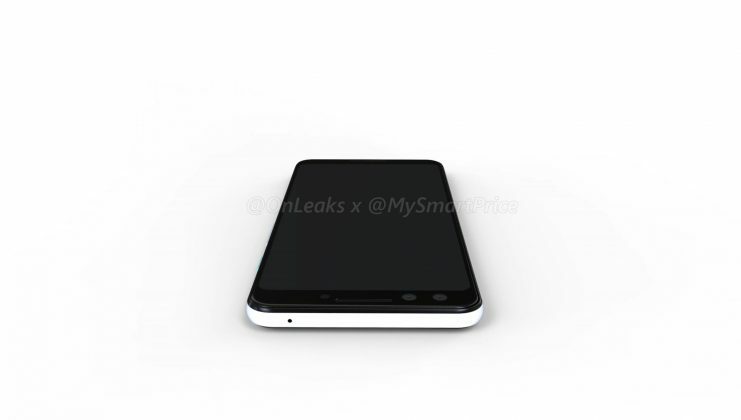 Also like last year, there’s a glass coating at the top of the back of the device, with metal below that. 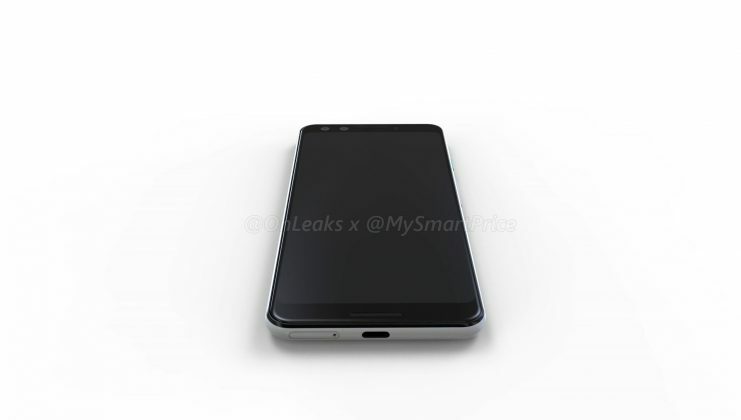 Dual front-facing speakers are also present here. 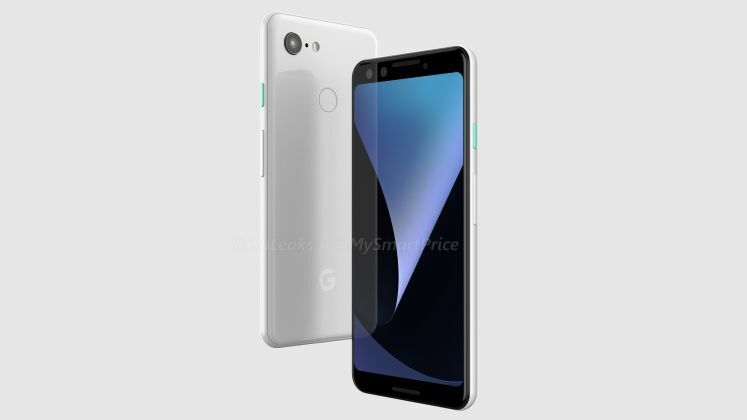 The larger variant of the Google Pixel 3 XL looks more or less as we expected. 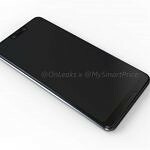 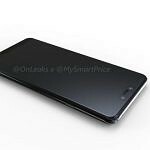 Rumors suggested it would have a notched OLED display made by LG, and it appears that is the case. 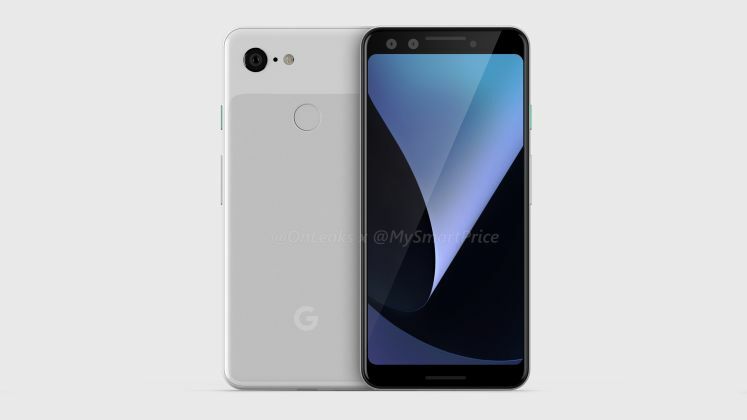 The display is also larger than last year’s version, coming in at 6.2 inches. 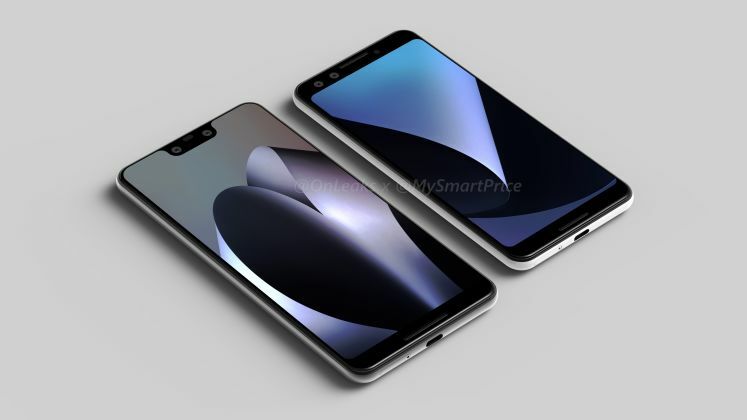 Given the presence of the notch, we can expect this phone to have a 19:9 aspect ratio or so with a much higher screen to body ratio than the smaller variant. 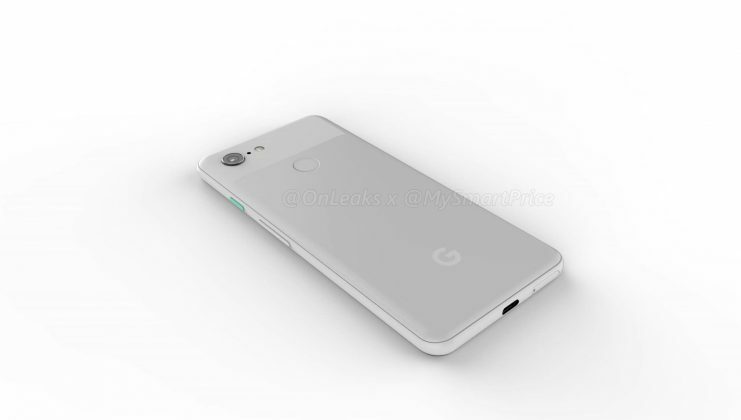 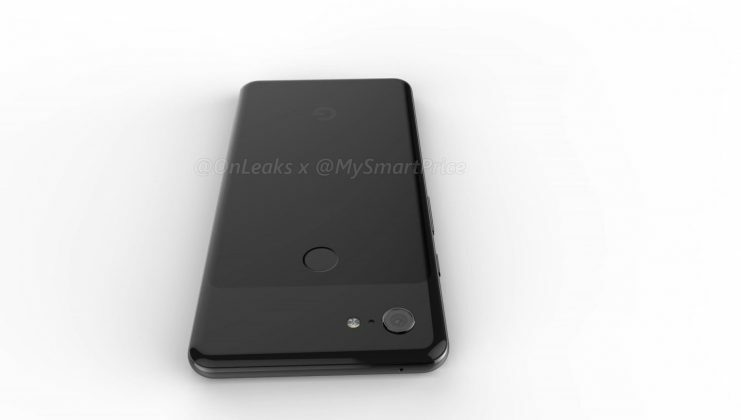 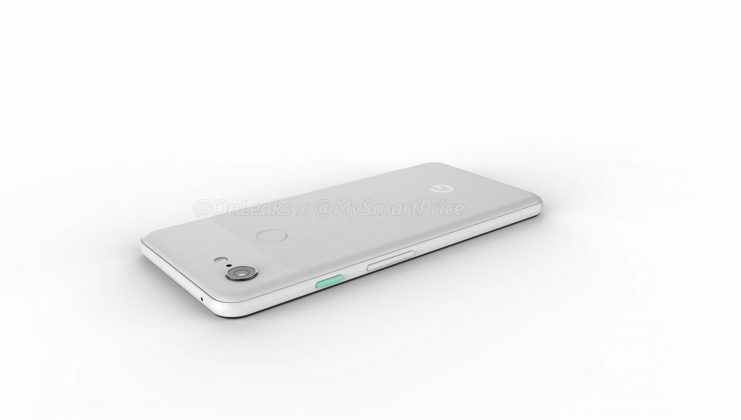 The back of the Google Pixel 3 XL greatly resembles the smaller variant, with the same glass/metal design. 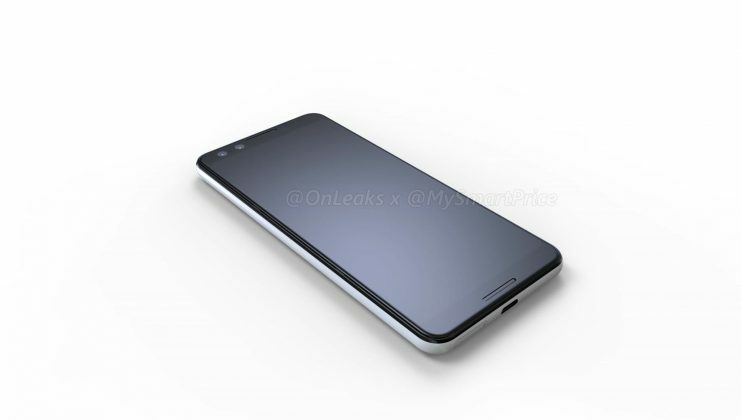 The camera and its LED flash are also in the same location here too. 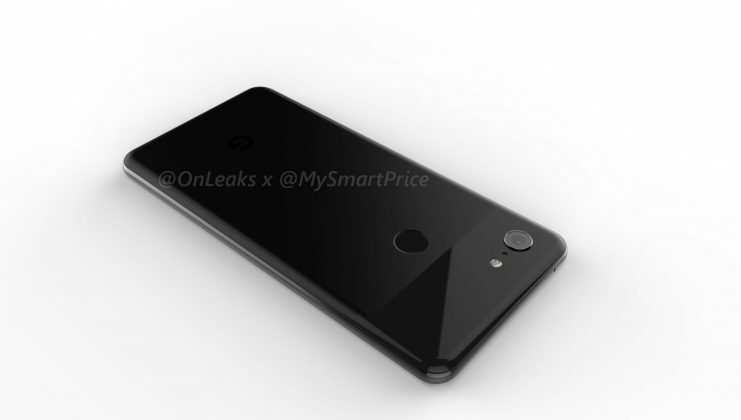 The same goes here as well in terms of dual front-facing cameras. 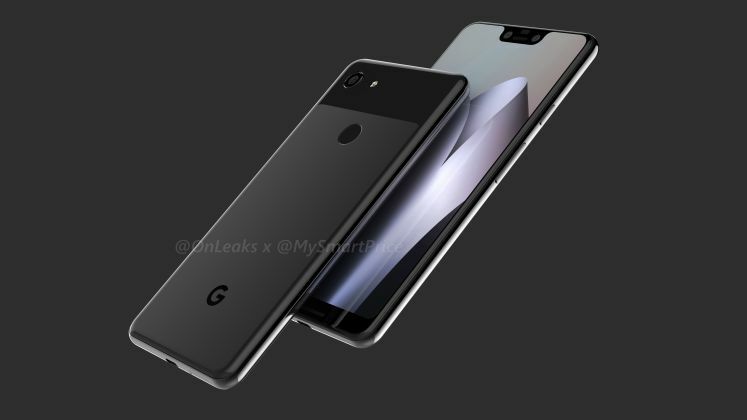 It looks like it, but we can’t tell yet. 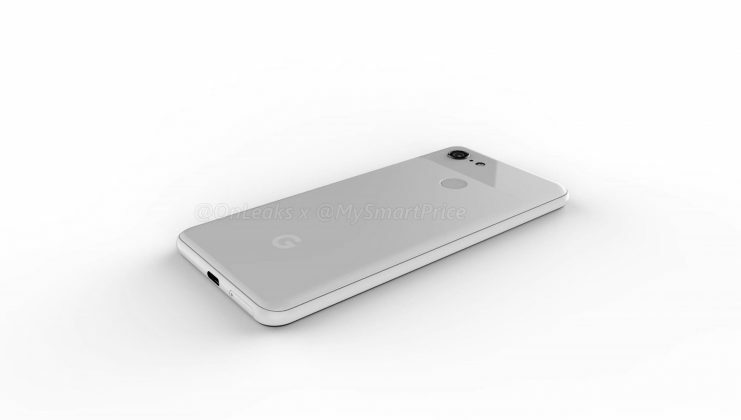 The Google Pixel 3 XL measures 158 x 76.6 x 7.9mm. 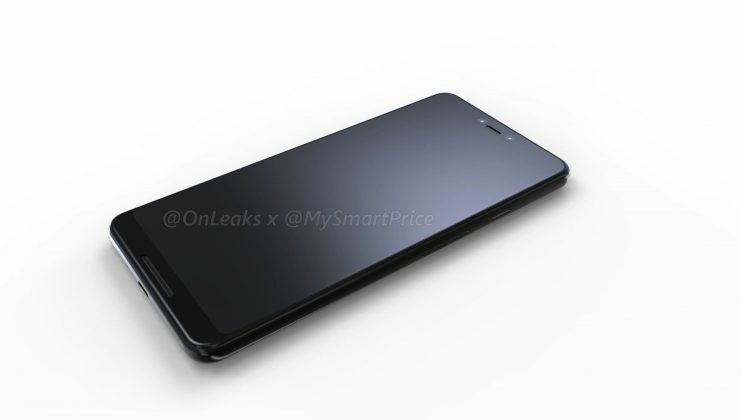 It’s also 8.6mm thin when you account for the camera bump. 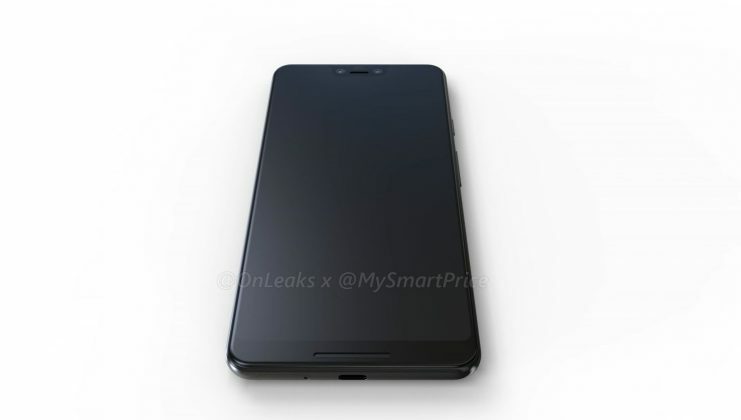 Just like the smaller variant too, there’s no headphone jack here and the SIM tray resides at the bottom of the device. 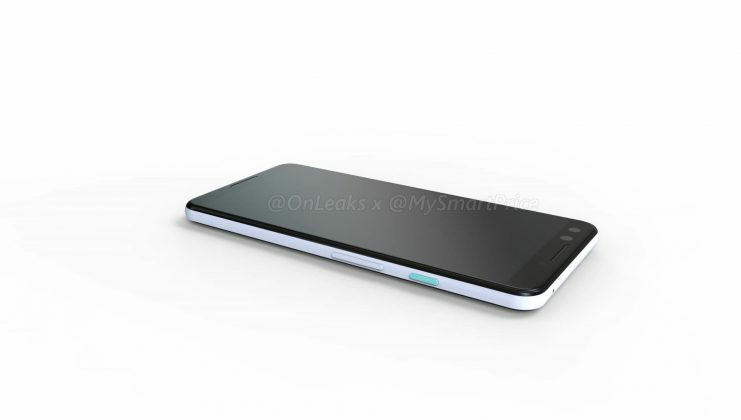 The power button isn’t turquoise here, but that may be something that’s exclusive to the white colored version. 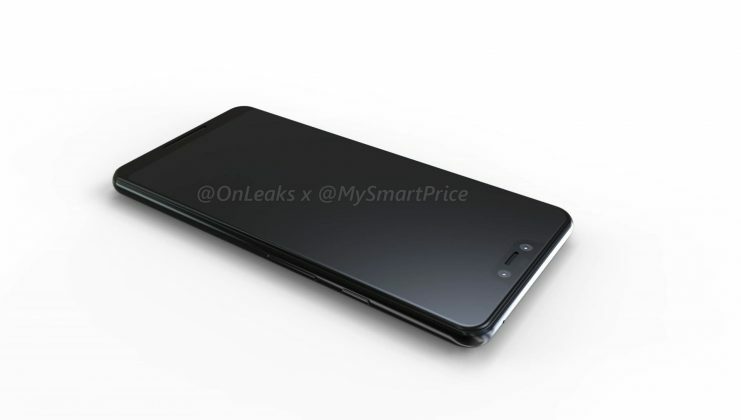 It more or less looks identical to the smaller sized version from the back, but it’s obviously a lot bigger. 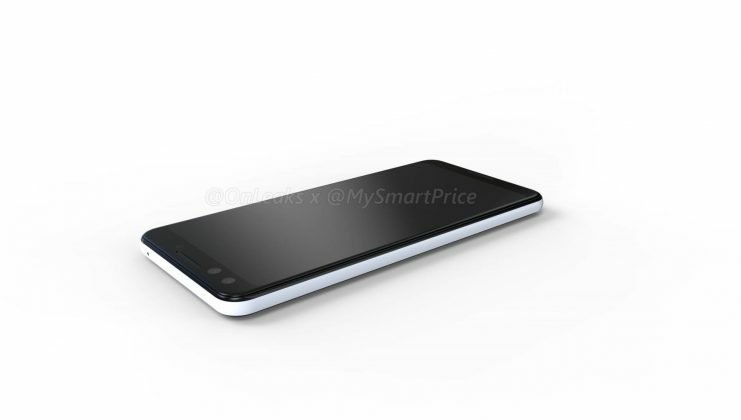 A number of other CAD renders have been made available by @OnLeaks and MySmartPrice. 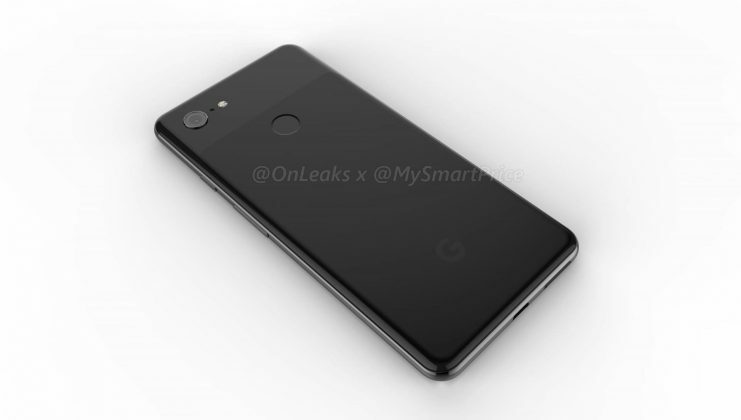 They don’t show a huge amount more than is already available in the images and videos above, but they do allow us to see both sides of the devices at the same time. 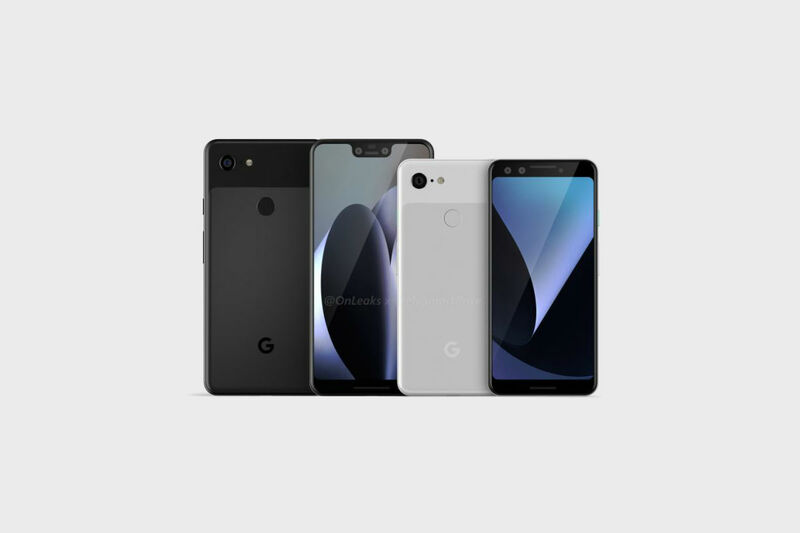 We don’t know a huge amount specs wise when it comes to this year’s Pixel devices, but we do know that Active Edge will also be making a return. 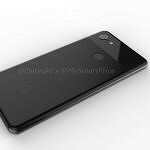 Apart from that, we can expect to see the Qualcomm Snapdragon 845 and yet again one of the best cameras in a phone. 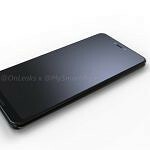 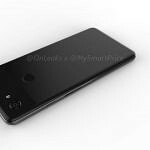 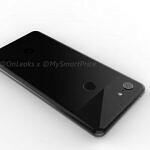 Stay tuned to XDA for more updates as we get them.